One of our center activities this week was to Dot the Letter B (since we were learning about bears.) This was the first time that we had done something like this and the kids LOVED it! The kids worked on this for a long time. 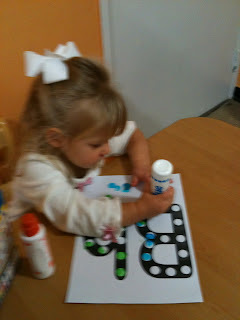 Some created patterns on their letters and used a variety of colors. 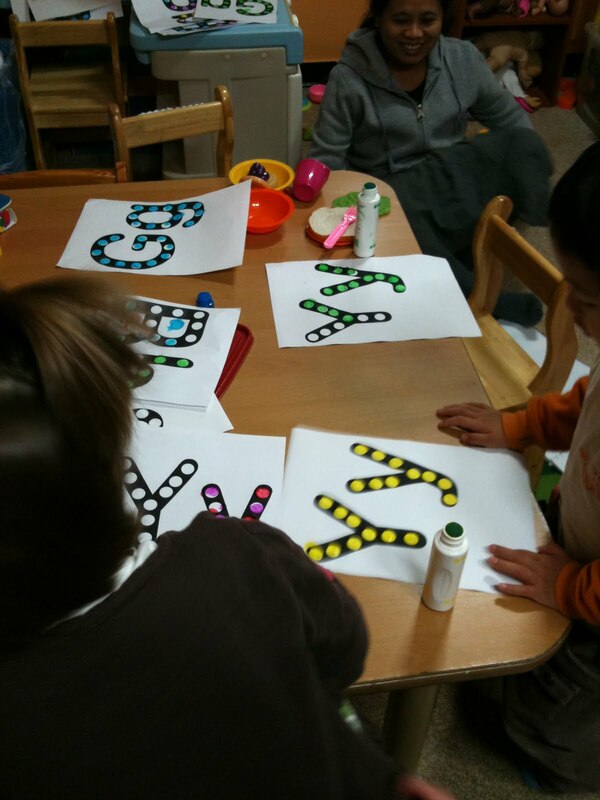 My favorite part of the activity was when the kids took charge of their own learning and asked for more letters. They first asked for "G" for Goldilocks and then the fun began. I didn't have them all made up so I was sitting at the computer making the activity pages as fast as I could. 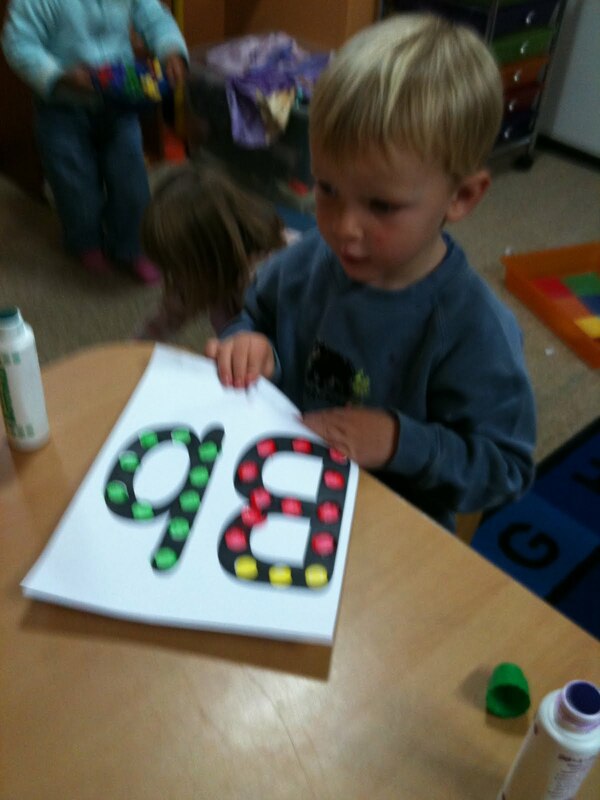 By the end of the morning, the kids had asked for about 10 different letters. For some of the kids, they were not able to recognize the letters that they were asking for so we had a lot of learning opportunities. My favorite was when they asked for the letter "Q"!!! Go figure! 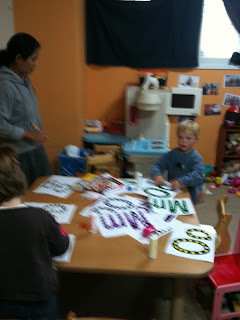 It was so fun to see them so excited about learning the letters in such a fun way. Can you see the variety of letters on the table? Learning can be messy sometimes :). That's just the way Mrs. Jennifer likes it :). 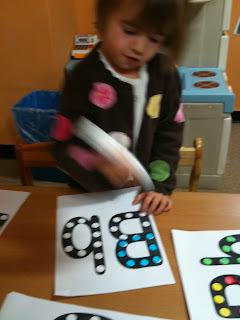 My kids have enjoyed all the dots I have done this year. Which website are yours from? I've done turkeys,etc and put dots in them. They love it.